The Azam Uganda Premier League returns with two games on Saturday that may have relegation implications. At the Kyabazinga Stadium in Bugembe, 9th placed Bul who seat only four points above the relegation zone host Kirinya JSS in the Jinja derby. Bul will be without midfielder Methodius Nsubuga who is out injured but the rest of the squad is available. “The game is so crucial for us as we don’t stand well on the table, said Bul coach Paul Kiwanuka. “Our target is to make sure we win tomorrow and other remaining home games to change our position. For Kirinya, they lay in comfortable 4th position on the log and look like they no longer have anything to play for this season as it is difficult to move into the top three positions as well as getting relegated. They will be without defender Mulondo Livingstone who is out with a muscle injury but the rest are expected to feature. “All my players are available apart from Mulondo who will not take part in tomorrow’s game. Said Kirinya coach Charles Ayiekoh. “He is a starter but that doesn’t worry me because in my team all the players i have can play and i prepare them equally. “Tomorrow’s game is going to be hard for us because our brothers (BUL FC) lost their last game will want to bounce back as soon as possible. “All in all, i have confidence in my team and every player that i put on the pitch thus everyone is ready to play and try to win. This will be the fourth top flight meeting between the two sides but non has ever seen victory as all the first three have ended in draws. The reverse fixture last season ended goalles while the first meeting of the current campaign finished 1-1. Bul go into the game having not won in any of their last three league games (D1 L2). However, they have lost only one of their last nine home league games (W5 D3). For Kirinya, they have lost only two in their last nine league games (W5 D2). Their worry will be about their recent away form which has seen them test victory in only two of their last 10 games (D2 L6). 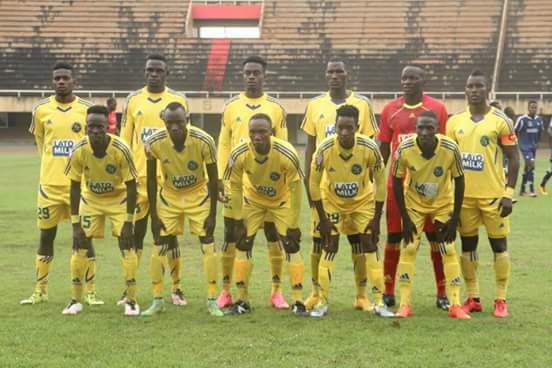 In Matugga, Bright Stars who seat in 11th spot host 12 placed Mbarara City. With only a point separating the two sides, and are three and two points away from relegation, non of the two sides will want to make any mistakes as they risk dropping into the relegation zone. Both teams go into the fixture having won only one of their last eight league games. Bright Stars have been immense at home, losing only once all season while Mbarara are still looking for their first three points on the road since the start September. The first meeting between the two sides ended 1-1 at the Kakyeka Stadium in Mbarara.